Here’s a whole new reason to smile… well, three reasons actually! 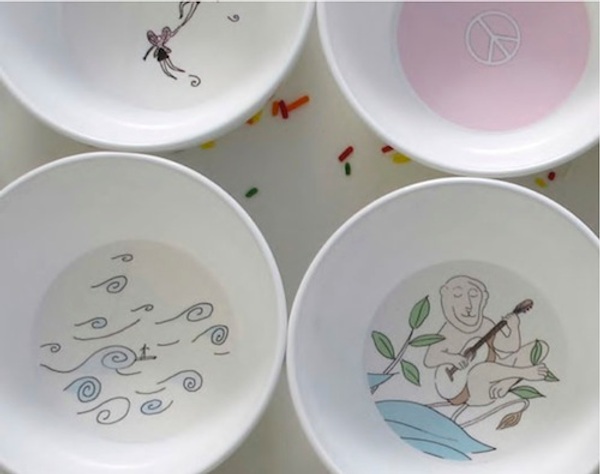 Smiling Planet makes eco-friendly feeding ware such as the gorgeous recycled plates we wrote about in May 2009. 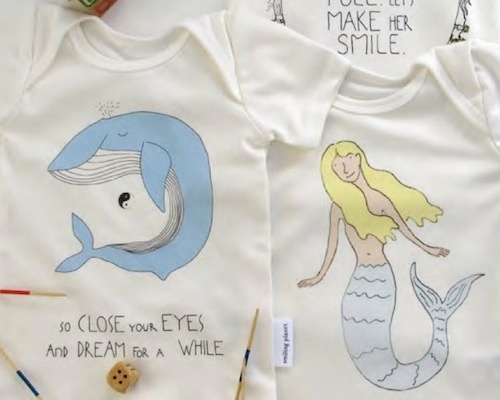 Now the company has added BPA-free bowls, organic t-shirts and pillows to the range. 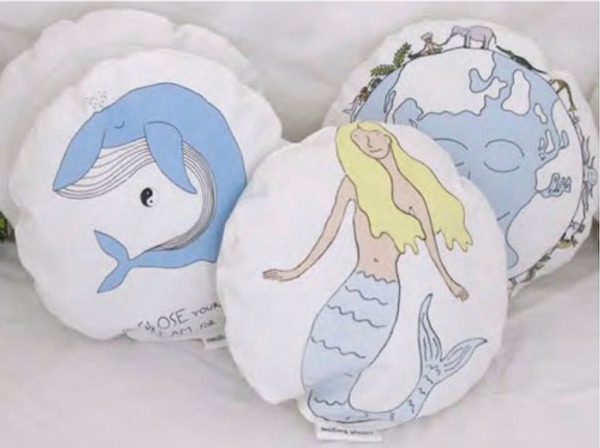 All have the same subtly pretty looks as the plates, with mermaids and gently cavorting whales on tees, waves and peace signs on bowls and cushions with a map of the world. You can just feel the love for our planet emanating from every design! The plates and new bowls are available from State of Green for $18.95. The pillows are available in the US for US$28 and US$39 and tees are US$28 each plus shipping from Smiling Planet.